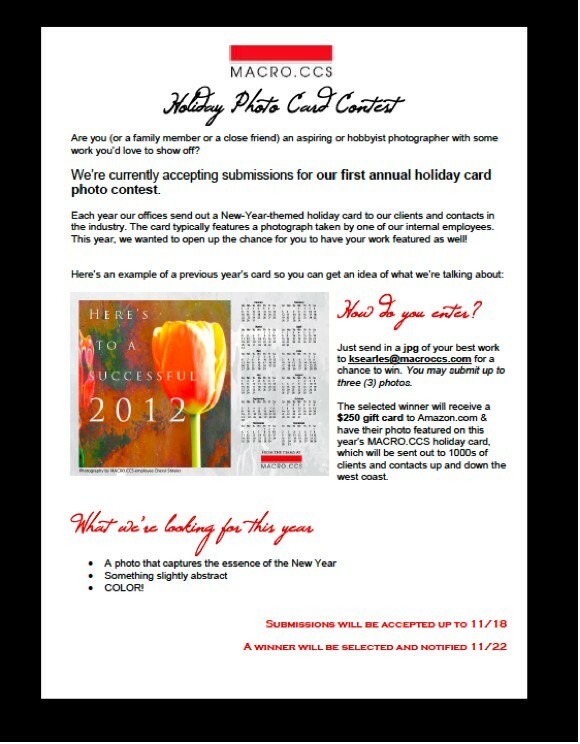 We’re currently accepting submissions for our first annual holiday card photo contest. If you, or a friend, are interested in having your photographic artwork featured on this year’s MACRO.CCS holiday card, please see the below document for details on how to submit your entry. Entry deadline: 5pm, Monday November 18th. A winner will be selected & notified by 5pm, Friday November 22nd.